some pretty positive reactions all around to it at this point. to country to your music and the on-stage antics? wait and see because we’re not going on tour for like another two weeks. We’ll be in Boston. Oh yeah, it looks like it’s going to be the end part of the tour in Boston for the U.S. in May. more of a scene for it—for people to come out to shows and just really get into it. home and told their friends so a lot more people come this time around. like and how did it compare to recording “Champagne Holocaust”? taste, but he wasn’t really the main producer on the album. do a bit of both? Well, I think it will alienate some people who don’t really understand those things, those topics. But for the people that are aware of it, I reckon it will bring people in. It’s not that common. which is nice. It’s new, in a way—fresh. You think they would be covered a bit more. They should be at least! Yeah, but they don’t seem to be, do they? Not many bands I guess are bold enough to take that stance, I suppose, you know? upbringing and they just don’t care, I don’t know. stuff. They played North Korea a lot last year. You know that band? Did you hear about them? I think I’ve heard their name around before. Don’t know much about them though. relationship/dynamic-wise since the first album, in your opinion, at all? We have some other people in it. It’s a change in line-up. It’s mostly changed, yeah. tour, as we mentioned. And it looks like you’re doing some European dates and festivals. even plans yet—are you playing it by ear? to be touring extensively this year. Like Australia and stuff like that. That’ll be cool. Have you been there before? That’s all the questions I have for you. Thanks so much for your time and doing this for us. Thank you, and I’ll see you in Boston. Good luck on the tour and I look forward to seeing you guys then! 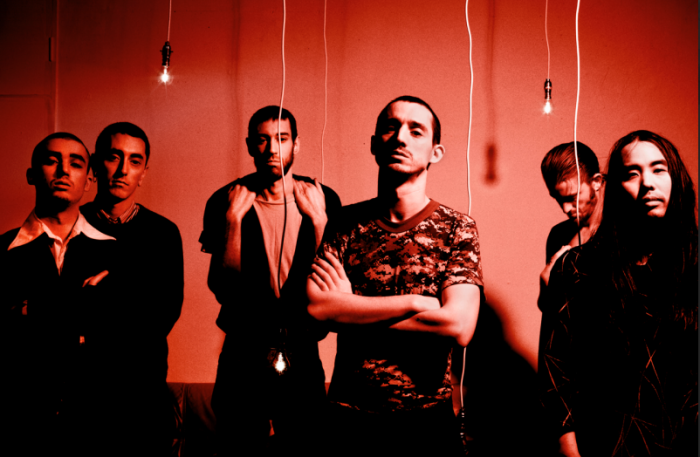 Fat White Family will be coming to Brighton Music Hall on May 4 with Dilly Dally.